Here’s a look at things that have happened on this date in history. 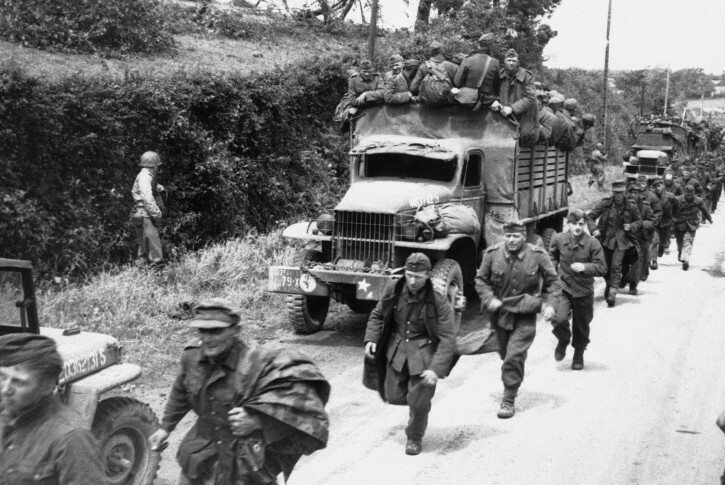 In 1944, during World War II, American forces liberated the French port of Cherbourg from the Germans. Today is Wednesday, June 27, the 178th day of 2018. There are 187 days left in the year. On June 27, 1846, New York and Boston were linked by telegraph wires. In 1844, Mormon leader Joseph Smith and his brother, Hyrum, were killed by a mob in Carthage, Illinois. In 1905, the Industrial Workers of the World was founded in Chicago. In 1922, the first Newberry Medal, recognizing excellence in children’s literature, was awarded to “The Story of Mankind” by Hendrik Willem van Loon. In 1957, Hurricane Audrey slammed into coastal Louisiana and Texas as a Category 4 storm; the official death toll from the storm was placed at 390, although a variety of state, federal and local sources have estimated the number of fatalities at between 400 and 600. In 1966, the Gothic soap opera “Dark Shadows” premiered on ABC-TV. In 1974, President Richard Nixon opened an official visit to the Soviet Union. In 1985, the legendary Route 66, which originally stretched from Chicago to Santa Monica, California, passed into history as officials decertified the road. In 1988, at least 56 people were killed when a commuter train ran into a stationary train at the Gare de Lyon terminal in Paris. In 1988, Mike Tyson retained the undisputed heavyweight crown as he knocked out Michael Spinks 91 seconds into the first round of a championship fight in Atlantic City, New Jersey. Ten years ago: North Korea destroyed the most visible symbol of its nuclear weapons program, the cooling tower at its main atomic reactor at Yongbyon. (However, North Korea announced in September 2008 that it was restoring its nuclear facilities.) In Zimbabwe, roaming bands of government supporters heckled, harassed or threatened people into voting in a runoff election in which President Robert Mugabe (moo-GAH’-bay) was the only candidate. Five years ago: The Senate passed, 68-32, comprehensive legislation offering the hope of citizenship to millions of immigrants living illegally in America’s shadows; however, the measure became stalled in the GOP-led House. President Barack Obama visited Senegal, where he urged African leaders to extend equal rights to gays and lesbians but was bluntly rebuked by Senegal’s president, Macky Sall, who said his country “still isn’t ready” to decriminalize homosexuality. Kevin Rudd was sworn in as Australian prime minister a day after toppling rival Julia Gillard. One year ago: A new and highly virulent outbreak of malicious data-scrambling software began causing mass disruption across the world, hitting Europe _ and Ukraine _ especially hard.